The CBD and South East Light Rail (CSELR) project has been criticised for its lack of transparency and community consultation. 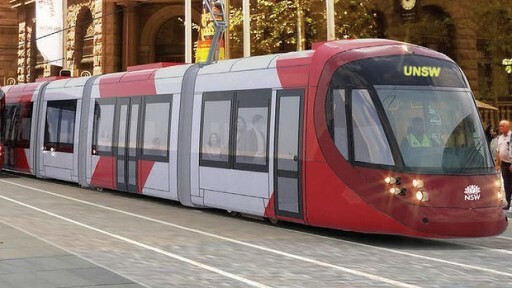 Community coalition Stop This Light Rail (STLR) has launched a campaign to oppose the project, claiming the NSW Government has failed to justify their decisions and have failed to conduct meaningful consultation with the community. Spokesperson for People Unite Surry Hills (PUSH) and member of STLR Venietta Slama-Powell said the community was very concerned about the lack of transparency throughout the project’s development. “We’ve been involved in this project since 2012 and we have been trying to put pressure on the government to increase transparency and open dialogue,” Ms Slama-Powell said. “We were never told about the light rail, it was all behind closed doors,” said Rosemary Mackenzie, Secretary of Kensington Voice. Ms Slama-Powell indicated the group had taken action to force transparency but had been ignored. “We have submitted various Freedom of Information requests that have all been ignored,” she said. A spokesperson for Transport for NSW said all requests had been responded to. Ms Mackenzie said she feels the NSW Government has been secretive about the impacts of the light rail project. Ms Slama-Powell also drew parallels between the NSW Government’s approach to the CSELR project and the WestConnex project. Minister Berejiklian denied the accusations regarding a lack of consultation.